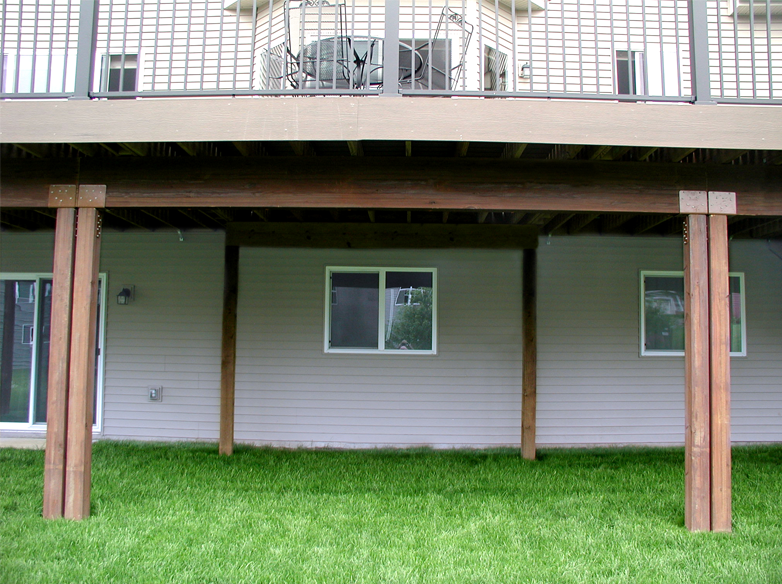 Post and Beam Kits are manufactured to clear a span of up to 20′ while supporting a deck size of 16′ x 20′. 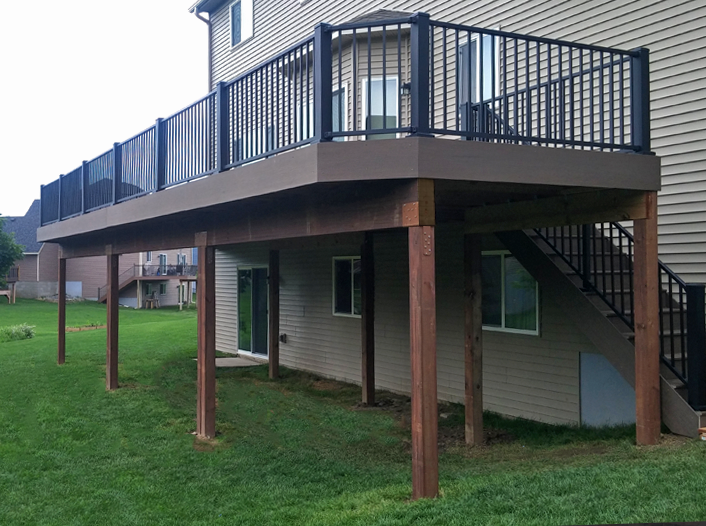 Kits are available up to 24’ and do not require extra posts for support that traditionally obstruct views in walkout type applications. 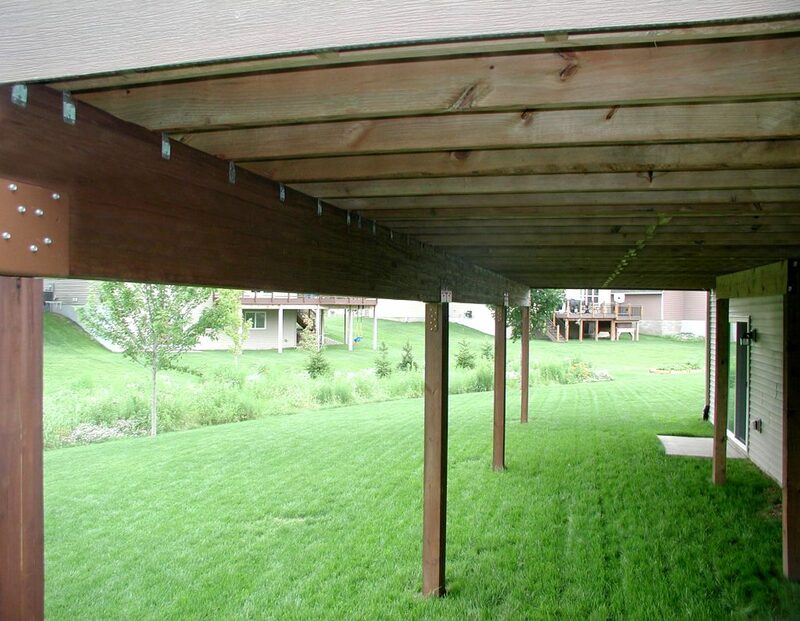 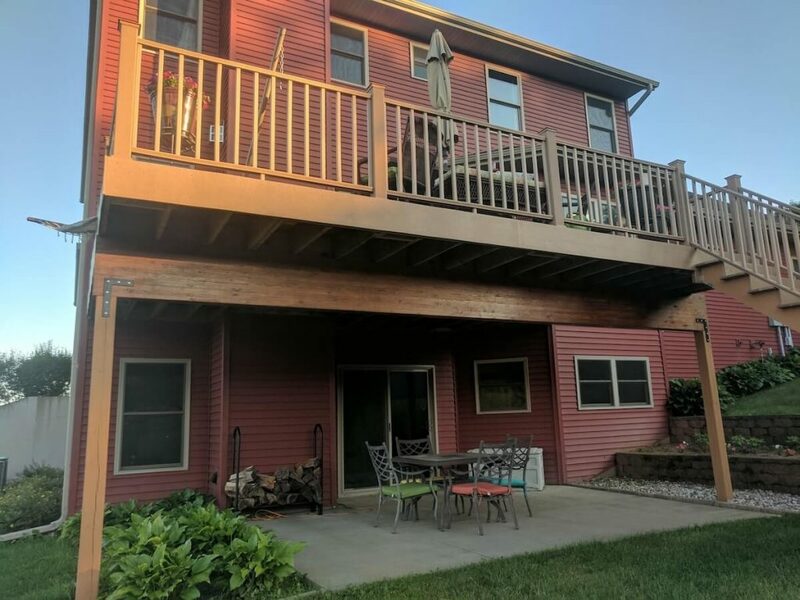 The brown color increases the attractiveness of the post and beam system and matches KDAT BROWN treated joist and rims.